The oldest part of the Tower of London dates back to the time of William the Conqueror. William was crowned king of England in London on Christmas Day 1066 following his decisive victory at the Battle of Hastings a few months earlier. Keen to ensure control of his capital city, he commissioned the construction of a fortress—what is now known as the White Tower. It was begun in the 1070s and completed after his death, by about 1100. Subsequent monarchs added more buildings and extended the Tower’s fortifications, turning it into the imposing military stronghold that it is today. 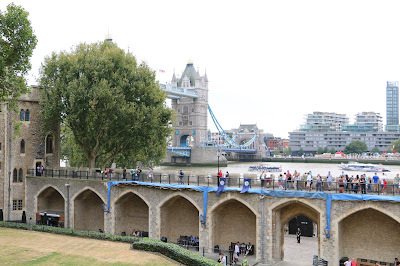 The Tower of London is situated on the north bank of the Thames, at the extremity of the city. Its extent within the wall is twelve acres and five roods. The exterior circuit of the ditch which entirely surrounds it, is 3,156 feet. The ditch, on the side of Tower-hill, is broad and deep; on the side next to the river it is narrower. A broad and handsome wharf runs along the banks of the river, parallel with the Tower, from which it is divided by the ditch. On the wharf is a platform, mounted with sixty-one pieces of cannon, nine-pounders. These are fired on state holidays; and in time of war, on all victories gained by the army or navy. At each end of the wharf is a wooden gate, which divides it from the streets, and is open only during the day. 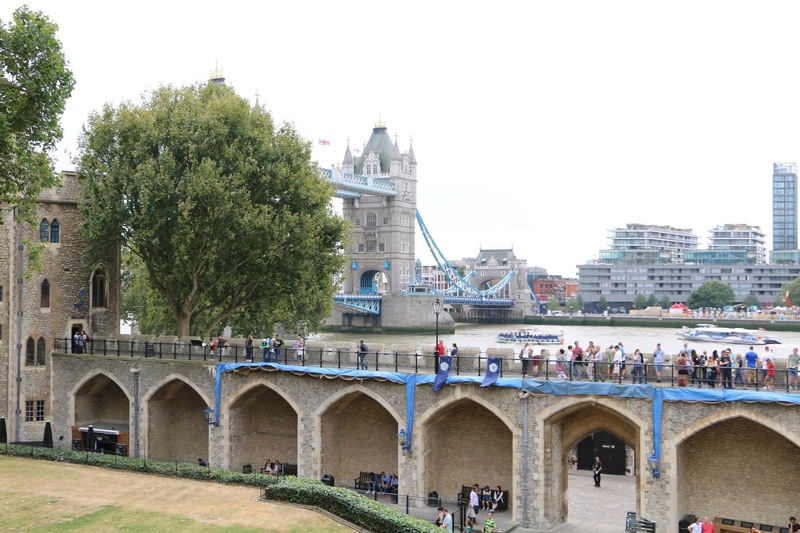 From the wharf into the Tower, is an entrance by a draw-bridge. 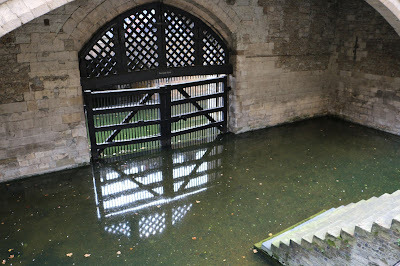 Near this is a cut, connecting the river with the ditch, having a water-gate, called Traitor's Gate, state prisoners being formerly conveyed by this passage from the Tower to Westminster, for trial. Over Traitor's Gate is a building containing the water-works that supply the fortress with water. The principal entrance to the Tower is on the west, and is wide enough to admit a carriage. It consists of two gates on the outside of the ditch; a stone bridge built over the ditch, and a gate within the ditch. What was the Tower used for? Although used occasionally as a royal residence, this was never the Tower’s chief purpose. 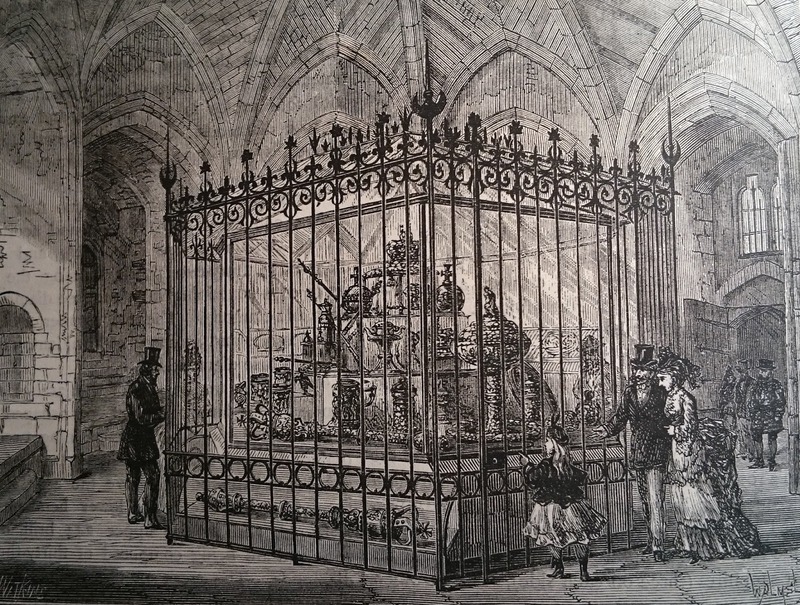 It was originally designed to advertise the king’s dominance and to protect London against potential uprisings. The security of the buildings within the outer walls led to the Tower of London being used to house the Crown Jewels, the Royal Mint, the Board of Ordnance, Ordnance Survey, the Records Office and, of course, state prisoners. 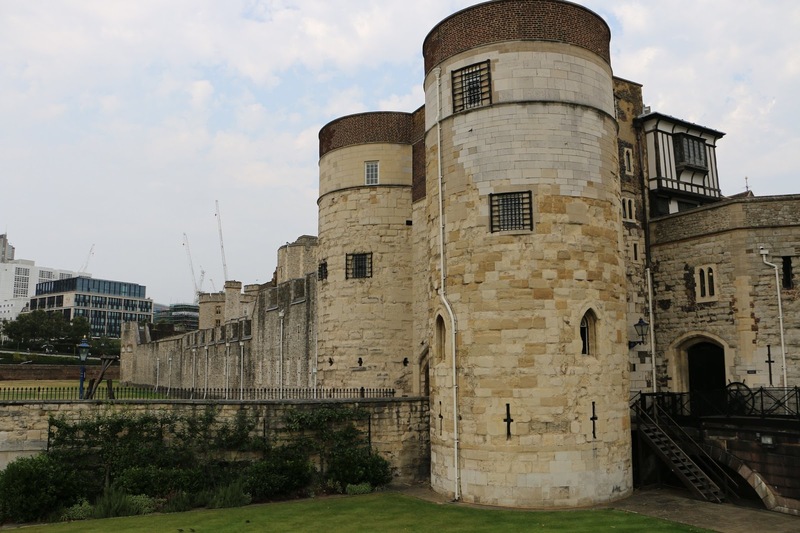 Those held captive in the Tower of London were no ordinary prisoners. They were enemies of the state, imprisoned on grounds of treason. Despite its somewhat gruesome reputation, only 22 executions have taken place within the Tower walls, including those of two of Henry VIII’s wives, Anne Boleyn and Catherine Howard, and the unfortunate Lady Jane Grey. Another queen, the young Elizabeth I, was imprisoned in the Tower by her half-sister Mary. Many of the towers have been used to house prisoners over the years, notably the Beauchamp Tower and the Salt Tower, which both contain 16th and 17th century graffiti giving witness to their history as prison cells. In 1483, the 12-year-old Edward V and his brother Richard, Duke of York, were residing in the Tower of London when they disappeared. It was widely believed that they had been murdered by their uncle, Richard III, giving rise to the legend of ‘The Princes in the Tower’. 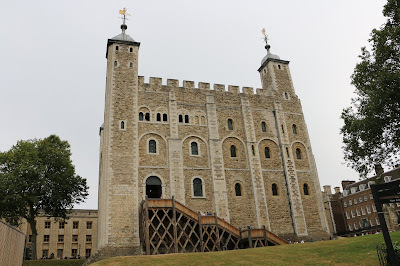 The tower traditionally associated with their disappearance was nicknamed the Bloody Tower. The Tower was still being used as a prison during the Georgian period. 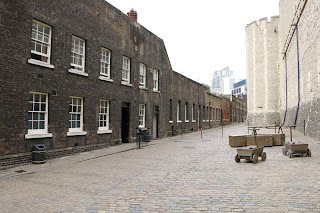 The Tower is used as a state prison, and in general the prisoners are confined in the warders' houses, but by application to the privy-council, they are usually permitted to walk on the inner platform, during part of the day, in company of a warder. The Jacobite Simon Fraser, 11th Lord Lovat, was imprisoned in the Tower following the Battle of Culloden in 1746. He was the last person to be executed on Tower Hill, on 9 April 1747. 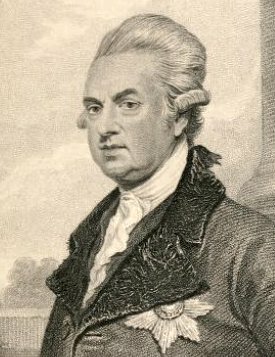 Lord George Gordon was imprisoned in the Tower for six months for his role in instigating the anti-Catholic Gordon Riots of 1780. Radical English reformist politician Sir Francis Burdett was imprisoned in the Tower from April to June 1810, accused of breach of privilege by the House of Commons. Although the Tower of London was a working prison and the base for various government departments, it was also a Regency-era tourist attraction, open to the public, who could see inside many of the buildings on payment of the required fees. The Lions, and other Wild Beasts – one shilling. The Spanish Armory – 'the trophies of the famous victory of Queen Elizabeth over the Spanish Armada'. The Small Armory – 'contains complete stands of arms for no less than 100,000 men'. 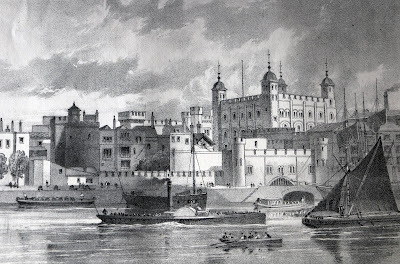 The Volunteer Armory (in the White Tower) – 'contains arms piled in beautiful order for 30,000 men, with pikes, swords, &c. in immense numbers, arranged in stars and other devices'. 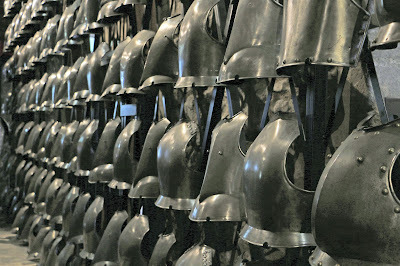 The Sea Armory (also in the White Tower) – 'contains arms for nearly 50,000 sailors and marines'. 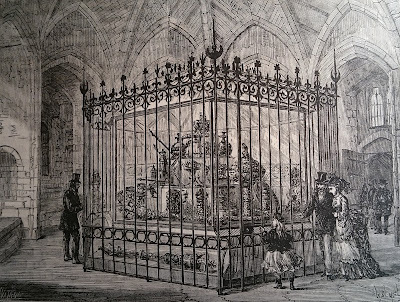 Royal Train of Artillery (part of this is kept on the ground floor, under the small armory) – 'The artillery is ranged on each side, a passage ten feet in breadth being left in the centre'. For the Spanish Armory, Small Armory, Train of Artillery, and Horse Armory, the price is one shilling only. The Jewel-office - one shilling per person in company or one shilling and sixpence for a single person. The Crown Jewels that could be seen included the Imperial Crown 'with which the kings of England are crowned', the Golden Globe, the Golden Sceptre and 'the Crown of State, that his majesty wears in parliament'. Independently of several of the jewels, which are inestimable, the value of the precious stones and plate contained in this office, is not less than two millions sterling. The Chapel – 'contains a few ancient monuments' and 'may be seen by applying to the pew-opener, at any time, for a small fee'. 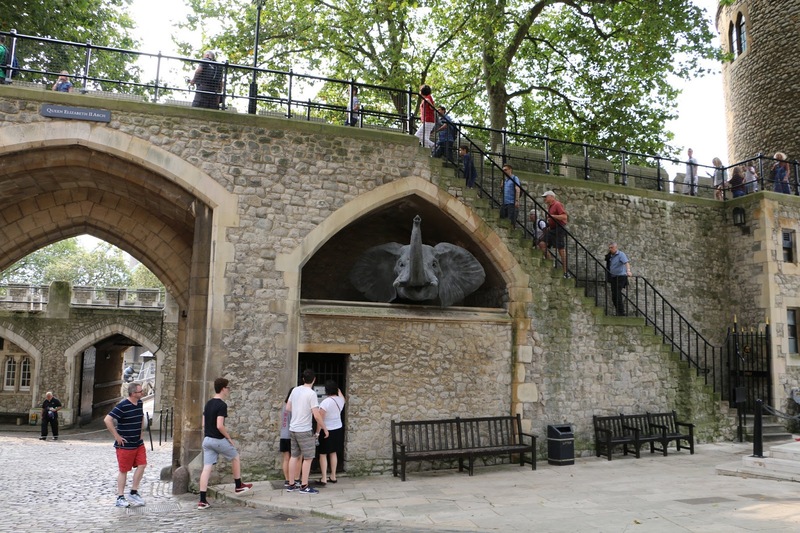 The Tower of London is largely the same fortress as it was in Georgian times, with its imposing walls and familiar skyline of towers, but there have been some changes to the structures within and the uses of the Tower. 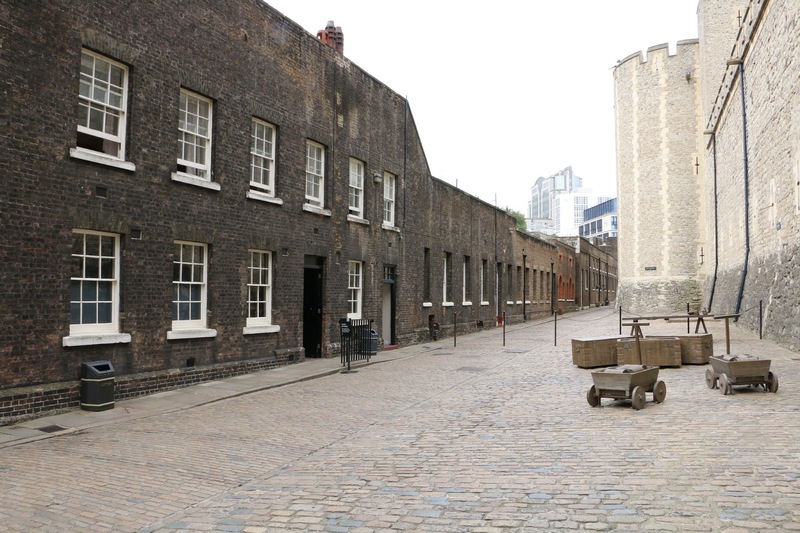 The Grand Storehouse was destroyed by fire in 1841, along with around 60,000 objects which were on display, and was replaced by the Waterloo Barracks. 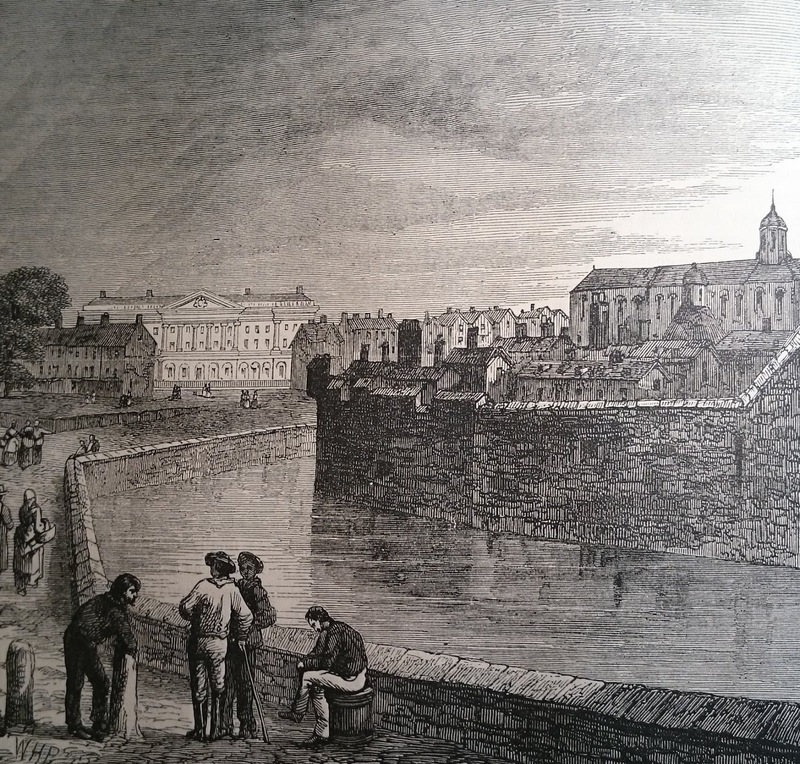 In 1845, whilst the Duke of Wellington was Constable of the Tower, the moat, which had become smelly and unhealthy, was drained. 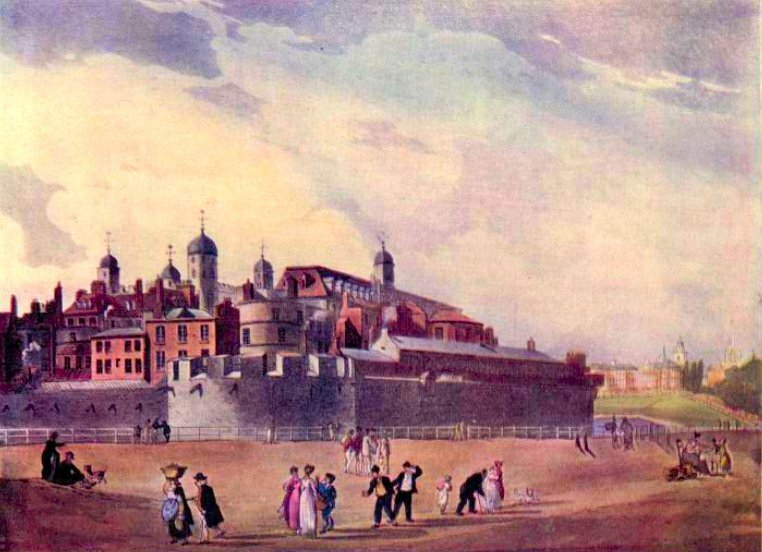 During the 19th century, the institutions of the Tower moved out. The Royal Mint was transferred to a new purpose-built facility on Tower Hill in 1812 and the Ordnance Survey relocated to Southampton after the fire of 1841. The functions of the Office of the Ordnance were transferred to the War Office in the 1850s; the Tower Records Office was closed in 1858 after handing over its records to the Public Records Office. 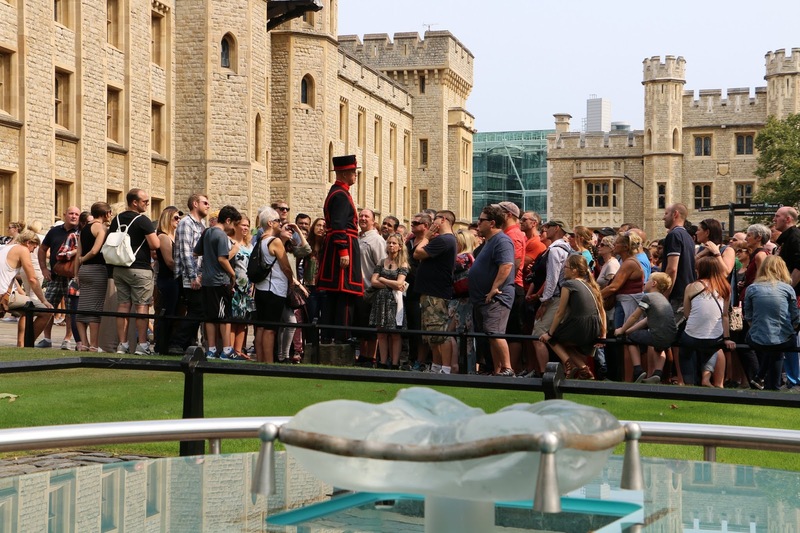 One function of the Tower of London remains—the Crown Jewels are still stored within its walls. 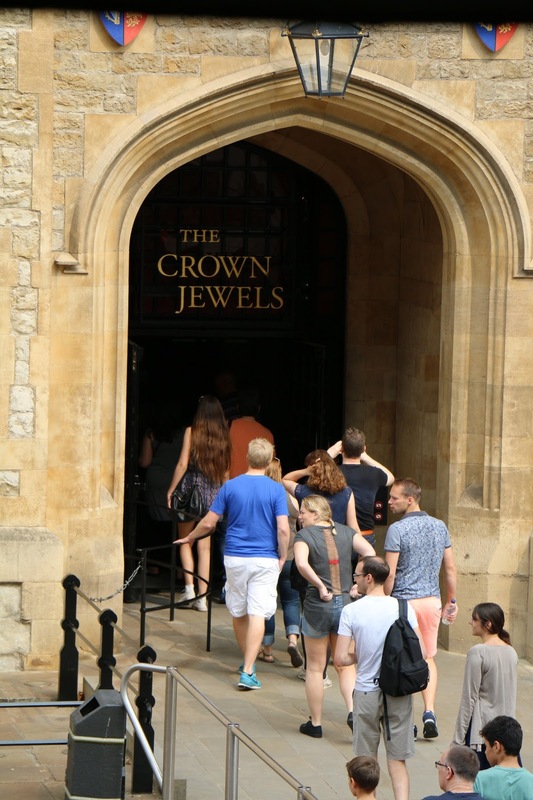 Since 1967, the Crown Jewels have been on display in the Jewel House in the Waterloo Barracks. 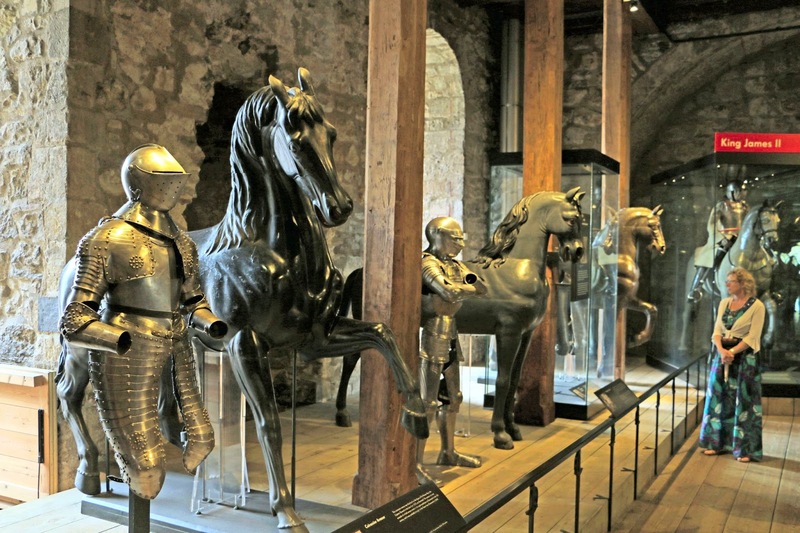 The White Tower houses the Royal Armouries' collections, including the Line of Kings which was reconstructed and put back on display in 2013. There is an exhibition about the history of the Royal Mint at the Tower. 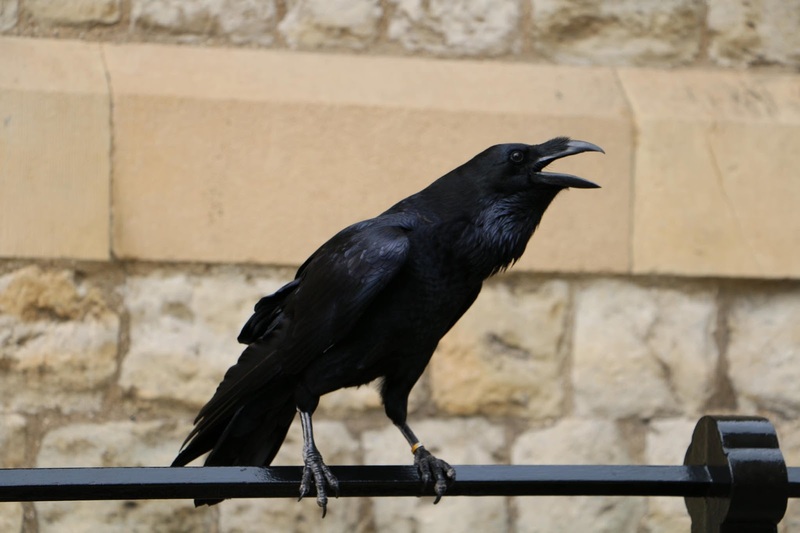 The only creatures kept at the Tower of London today are the famous ravens. 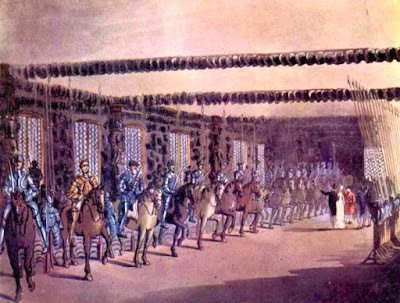 The Royal Menagerie closed in 1830 and William IV donated the royal beasts to the newly formed London Zoo. The keeper, Alfred Cops, continued to display his own large collection of animals until 1835 when he was forced to close the menagerie after several unfortunate accidents. The Lion Tower was demolished soon afterwards. There is an exhibition about the Royal Menagerie in the Brick Tower. I've written a separate blog post about the Royal Menagerie at the Tower of London here. 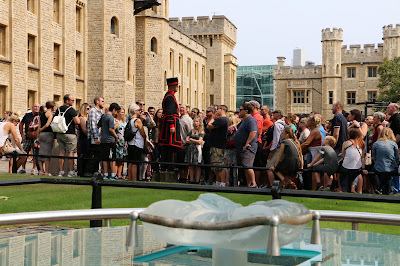 The Warders give informative tours of the Tower to visitors, dressed in their distinctive uniform. 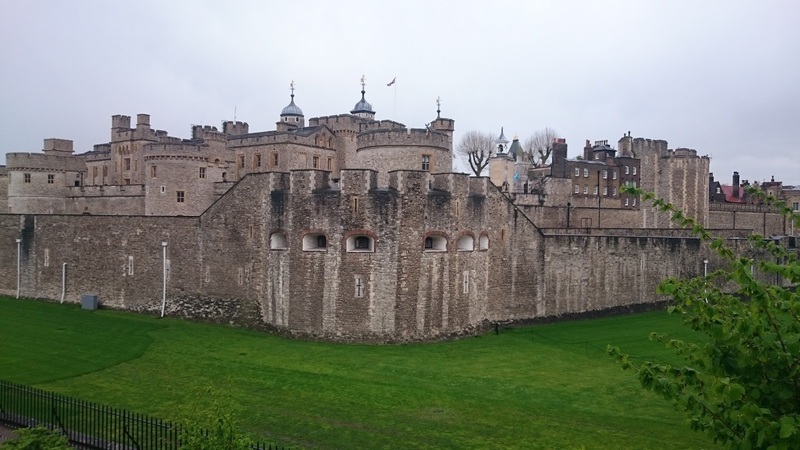 The Tower of London is in the care of Historic Royal Palaces. (1) All quotes from John Feltham’s The Picture of London for 1809 (1809). Lady Anne Lindsay was born on the family estate of Balcarres in a remote part of Fife in Scotland on 8 December 1750. She was the eldest of the 11 children of James Lindsay, the impoverished 5th Earl of Balcarres, and his wife, Anne Dalrymple, who was 40 years his junior. Anne’s mother resented being coerced into marrying a man old enough to be her grandfather and she took out some of her dissatisfaction with her lot on her children, especially Anne, who never seemed to get anything right, and often got the violent end of her mother’s temper. Anne’s governess, Henrietta Cummings, made things worse by developing a decided antipathy to Anne. Anne grew up desperate for the approval that her mother failed to give her and was decidedly wary of a marriage like her mother’s. Anne’s soulmate was her sister Margaret, who was two years younger than her. Anne was beautiful and intelligent, developing her conversational skills in the Edinburgh salons of her grandmother Lady Dalrymple amongst the best minds in Scotland including the philosopher David Hume. Even with the tattered state of the family estates, Anne had numerous admirers, many of whom would have been happy to lay their worldly goods at her feet. The trouble was that she wasn’t sure she wanted them to. Anne was unconvinced that she liked any of her suitors well enough to marry them and was consequently very indecisive. Unfortunately, this gave the appearance of fickleness. Eventually she was persuaded to accept one of her suitors, a wealthy merchant with a cork arm named Henry Swinton, but her family put a stop to the engagement when they heard rumours that Swinton was not as rich as they had thought. Poor Anne got the blame and was labelled a coquette – a tag that stuck with her for years. Meanwhile, Margaret had fallen in love with an unexceptional young man of good family named James Burges. The relationship came to nothing because her mother thought she could do better. Better came in the form of Alexander Fordyce, a rich banking magnate who coveted Margaret as a prize to be won because of her beauty and birth. They were married in the summer of 1770 when Margaret was just 17. Margaret’s doomed love affair was the inspiration for Anne's most famous poem, Auld Robin Grey. Anne went to stay with Margaret in London where the two beautiful sisters were much admired. Anne’s chances of making a brilliant match were hindered by the gossip that had followed her from Edinburgh, but she still found a bevy of new admirers including two of Fordyce’s friends – Henry Hope and Richard Atkinson. In 1772, Margaret’s world fell apart when Fordyce’s bank collapsed due to his poor speculation. Atkinson was a real friend, protecting her and Anne from the worst of the disgrace. Fordyce went into hiding and the sisters went home to Balcarres. Somehow Fordyce escaped bankruptcy and Margaret was soon back in London with him again. Anne did not return to London until after she inherited £300 on the death of her grandmother in 1776. Although back at the centre of London society, somehow she was not quite part of it. Her lack of funds meant that she was living at a very indifferent address and chose to wear colourful, self-made clothes that were decidedly unfashionable. Her Scottish accent was considered vulgar and her unconventional behaviour was labelled ‘odd’ by the ton. Nevertheless, Anne continued to draw admirers and one of these was Thomas Noel, 2nd Viscount Wentworth. She was attracted to the handsome but dissipated viscount and his family supported the match, believing it might be his salvation from ruin. The marriage was widely expected, but Wentworth temporarily backed off because of the demands of his possessive mistress. By the time Wentworth renewed his attentions, after the death of his mistress, Anne realised that she was in love with a cause and not the man. Although her reputation had been compromised, when Wentworth proposed, she refused. Her notoriety as a coquette grew. Anne made friends with some of the less respectable members of society, such as Anne, Duchess of Cumberland (née Luttrell), and her disreputable gambling sister Elizabeth. 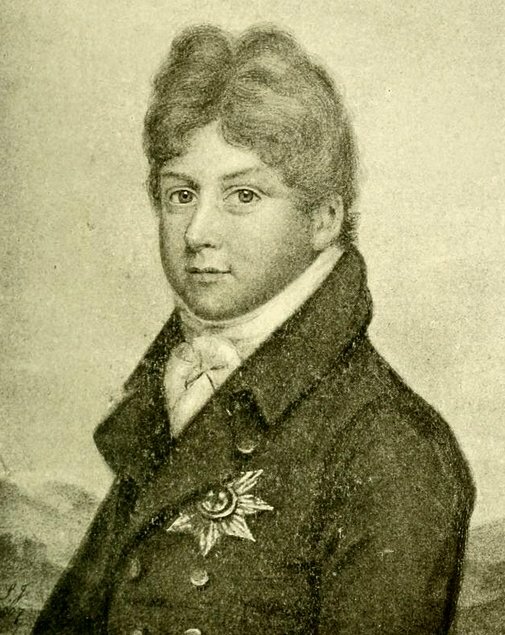 Perhaps it was through them that Anne became acquainted with the young George IV as he was emerging into adulthood. 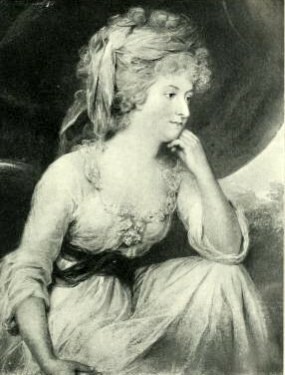 Another of Anne’s friends was the twice-widowed Maria Fitzherbert, whom Anne affectionately referred to as Fitz when writing to her sister. According to Anne’s memoirs, Fitz was in her box at Covent Garden in early 1784 when George, Prince of Wales, first saw her. Fitz confided to Anne how ardently the prince was pursuing her and persuaded Anne to accompany her abroad to escape his attentions. The prince bombarded Fitz with love letters and offered to marry her, either publicly when he came of age if she would renounce her Catholic faith, or privately now. Anne advised her to do neither, and for a while it seemed as if her advice had succeeded, but sometime after Anne had returned to London, she discovered that Fitz had agreed to marry the prince. Anne refused to see Fitz and the prince together and did all she could to persuade them to give up the match, but being the confidante of both, she was still blamed for the outcome. The prince and Fitz were married on 15 December 1785. Anne was not present and her continued refusal to see the couple together led to a cooling of her relationship with Fitz. While Anne was abroad, her friend Atkinson had died. Although Atkinson had proposed marriage to Anne and been turned down, he had remained her friend. He had looked after her and her sister after Margret’s husband Fordyce was ruined a second time. By investing Anne’s £300 inheritance wisely, Atkinson had amassed a small fortune for her. In addition, on his death, he made Anne the major beneficiary of his estate. She should have received as much as £30,000, but it never materialised. Atkinson’s family contested the estate and his firm collapsed without their brilliant senior partner. Maybe Anne could have got something from the estate if she had been willing to fight for it, but she refused to pursue it in court. At this time in her life, Anne had two chief suitors – Henry Dundas and William Windham. Dundas was at the height of his political power and thought Anne would make a fitting wife for a man in his position. 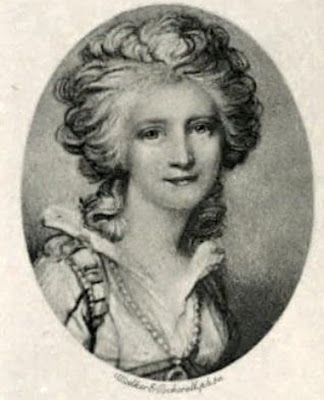 After refusing Dundas’s marriage proposal in 1791, Anne went to Paris where she observed the French Revolution at close hand. Windham was also in Paris and she gave him access to her hotel room at all hours, blinded to propriety by her obsession. At length, she confronted him and when he started accusing her of using tricks to catch him, she dismissed him. Anne left Paris and returned to London, where Dundas continued to court her as if nothing had happened. In 1793, Anne was finally married. 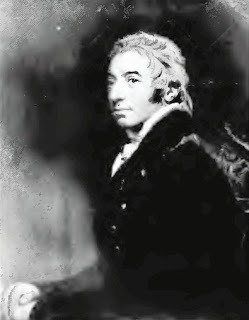 Her husband was not the powerful Dundas, but Andrew Barnard, the impoverished son of the Bishop of Limerick who had neither money nor connections to recommend him. Anne had refused his proposals two years earlier, but now, to everyone’s amazement, she accepted him. They were married at St George’s Hanover Square on 31 October 1793. 2 Society branded Barnard an adventurer, but the marriage was a happy one. As Barnard was a commoner, Anne continued to use her courtesy title as the daughter of an earl and was known as Lady Anne Barnard for the rest of her life. The couple retreated to Ireland where they attempted, unsuccessfully, to live within their limited means. 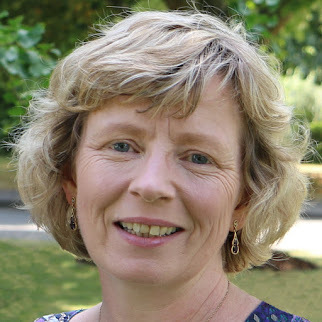 Anne determined to obtain a post for her husband and petitioned Dundas for a position. Eventually Dundas offered Barnard a salaried post – that of secretary to the governor at the Cape of Good Hope in South Africa. This was not quite what Anne had hoped for, but when it became obvious that nothing else was going to be forthcoming, she declared that she would accompany her husband. 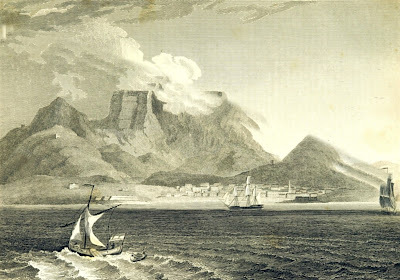 In February 1797, the Barnards sailed for the Cape of Good Hope, where they took up residence in the Castle of Good Hope with the governor, Lord Macartney. Macartney’s wife had not travelled out with him and so Anne acted as his hostess at the Castle. They entertained the army officers and the Dutch colonists as well as visitors who were passing through, such as Richard Wellesley, Lord Mornington, elder brother of the Duke of Wellington. 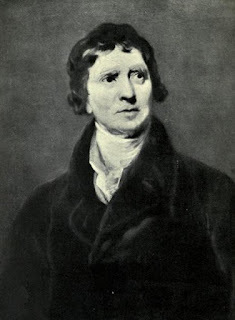 Anne maintained a regular correspondence with Lord Mornington after he left for Bengal and thus she could include information about India as well as the Cape in the despatches that she regularly sent to Dundas. Anne climbed Table Mountain and went on several trips into the interior, recording what she saw both with words and drawings. Her journals reflected on the issues surrounding them, such as the massive slave population in the Cape. The Barnards renovated a run-down cottage named Paradise part the way up Table Mountain and for a while they lived there. Anne called these years the happiest of her life, marred only by her inability to have children. Barnard thrived under Macartney’s laid back leadership style, but when the governor returned to England with ill health, the colony was temporarily put under the control of General Dundas, a nephew of Anne’s old suitor. His authoritarian approach and contempt for Barnard made life very difficult. Soon, Barnard was secretary in name only as General Dundas bypassed his approval. A new governor was appointed, but he was even worse. Sir George Yonge was arrogant and ineffectual and in time, he proved to be corrupt as well. 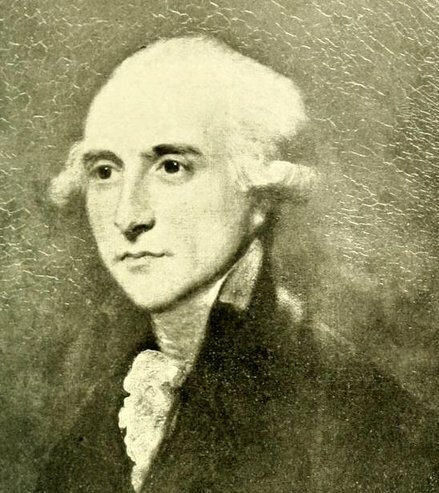 Anne reported to Dundas that Yonge had accepted a huge bribe from an infamous slave trader to land a large number of slaves and, as a result, Yonge was removed from office. In 1801, before another governor could be appointed, Britain made peace with France. The colony was to be handed back to the Dutch. With the loss of the Cape, Barnard lost his well-salaried post. Anne was worried about getting a new position for her husband as Dundas was no longer in power. 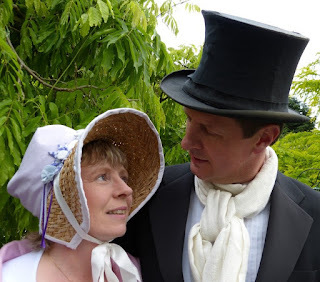 In January 1802, Anne travelled back to England to try to gain patronage for her husband in person whilst Barnard stayed at the Cape until the official handover to the Dutch. Neither of them realised it was going to take a whole year. Three years after Barnard’s return, he was still without a post. Finally, in 1806, shortly before he died, Henry James Fox recommended that Barnard should be given his old job back, as secretary to the new governor at the Cape. Windham reluctantly agreed. But having secured the post, Anne panicked that her husband’s health would not stand up to another stint living at the Cape. She pleaded with Windham to give him something else, but he was unmoved. Barnard said he would have to take the post or he could never be expected to be offered anything again. Anne stayed in England to petition on her husband’s behalf. The new governor, Lord Caledon, was young and inexperienced and relied heavily on Barnard for help. Caledon was a kind man and very concerned about his secretary’s bilious attacks. He was right to be concerned. Barnard’s health got worse and on 27 October 1807, he died. Anne was devastated by her husband’s death and blamed Windham for what had happened. But there was more to come. She received a letter from Lord Caledon telling her about a little mixed race girl, aged about six years old, the illegitimate daughter of her husband and a slave woman. The child had been conceived after she had left for England in 1802. Anne’s reaction was totally unconventional. She excused her husband’s infidelity, blaming herself for leaving him like a widower in South Africa and in 1809, she welcomed the girl, known as Christina Douglas, into her home at 21 Berkeley Square. Christina was not the only child that Anne took care of. Barnard had fathered two illegitimate sons before his marriage and each of these placed a daughter in Anne’s care – Margaret and Anne Hervey. Two other family members stayed often with her – Colonel Andrew Barnard, a nephew of her husband who was repeatedly injured in battle, and her nephew James Lindsay, whom she nursed back to health after the disastrous Walcheren Expedition to Holland in 1809. In 1812, Anne’s sister Margaret finally entered a few brief years of happiness. She married her old sweetheart James Burges who had recently been widowed. Sadly, it was short-lived; Margaret became ill with a tumour and died two years later. In her last years, Anne increasingly lived as a recluse, devoting her time to writing and drawing and preparing a memoir of her life with Christina’s help. Some of her family were afraid of what she was writing, fearing that the contents would bring shame on the family if they got into the wrong hands. Anne was adamant that her work was never to be published and her memoirs remain so today. In 1822, Sir Walter Scott quoted a verse from Auld Robin Grey in The Pirate, specifically referring to it as Lady Anne Lindsay’s beautiful ballad. After maintaining her anonymity as author through most of her life, she was finally given public credit for her poem. The full poem was published for the Bannatyne Club after Scott’s death. Anne died on 6 May 1825 at her home in Berkeley Square. She left legacies to all three of the girls who lived with her, and skipping over her brothers, left the rest of her property to her nephews, James and Lindsay. If you want to find out more about Lady Anne Barnard, I recommend Stephen Taylor's new biography Defiance. You can read my review of it here. (1) The ballad is popularly known by the title Auld Robin Gray spelt with an ‘a’ rather than an ‘e’ but Anne always wrote it with this spelling. (2) The date is given as 30 October 1793 in Defiance, but 31 October in the Dictionary of National Biography and this is supported by the transcription of the marriage register of St George’s. All three of these sources are listed below.